The first clear night of Milky Way shooting in 2017. In this shot, the moon rises as its luminance is surrounded by the arch of our home galaxy. 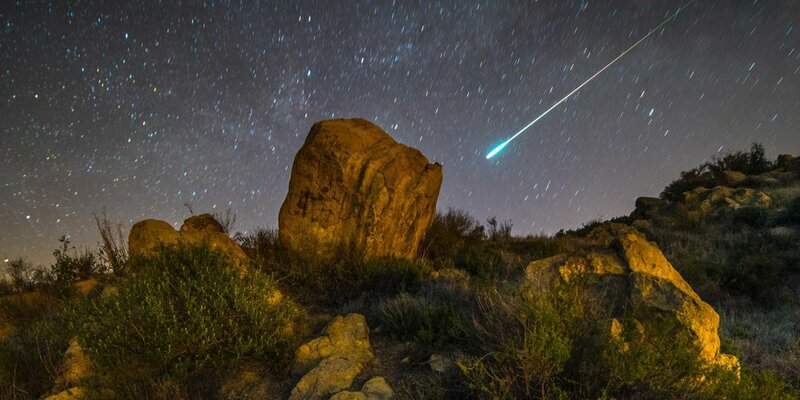 A rare and bright meteor falls into the frame of a long exposure photograph in the Santa Barbara, California mountains. The multicolored tail denotes a strong and fiery meteor. The earthbound object lit up the ground, and left a strong smoke trail in it's wake. The practice of astrophotography can be a lonely, cold, frustrating, enlightening and beautiful experience. 2 Crazy people brave the heat of Summer in the Mojave Desert. Even at an elevation of 3,500 ft in the Kingston Mountains, the temperature was 108 F at 2:30 AM. A portrait of the photographer, looking in awe at the rising Milky Way. 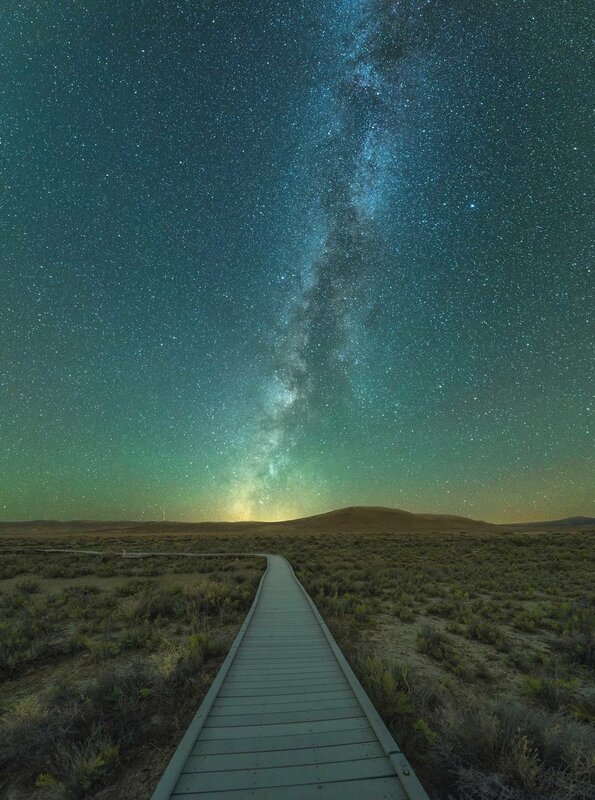 Taken in the center of Soda Lake, California. This 30 second exposure was taken using a star tracking motor and an 85mm lens to offer a deeper view into the core of the Milky Way. Looking up through the pines in Manchester, California. The Andromeda Galaxy (Messier 31, NGC 224) can be seen on the right center. A birdwatching path serves as transport to a further destination. 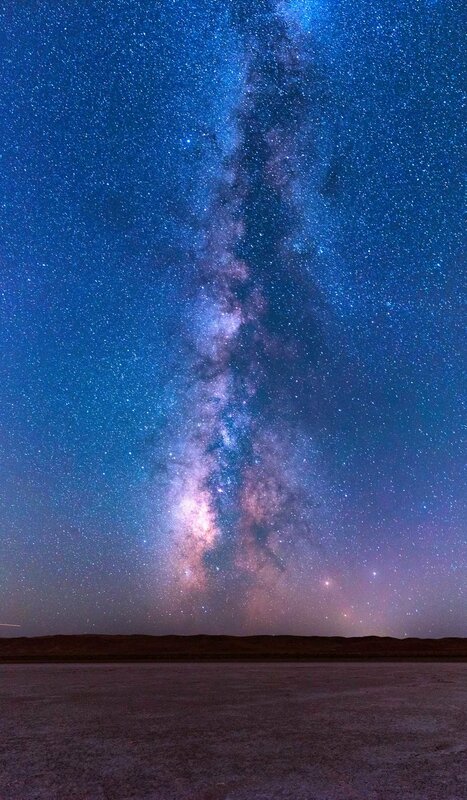 The Core of the Milky Way rises above the salt floor of Soda Lake, a salt lake in Central California. The Milky Way lumbers across a sea of fog above Santa Barbara, California. The full length of the Milky Way can be seen stretching across the night sky in this 32 image mosaic. The fog rushes over the mountains and down to Santa Barbara, California at bottom right. This composite image consists of a 7 minute exposure of the night sky using a star tracking motor, and a 4 minute exposure of the foreground. The 2 images were blended in Photoshop to capture the scene with as little signal noise as possible. A branch planted in the salt floor of Soda Lake, California stands in stark opposition to its barren surroundings. The Milky Way stretches behind Skull Rock, a famous rock formation located in Joshua Tree National Park, California. 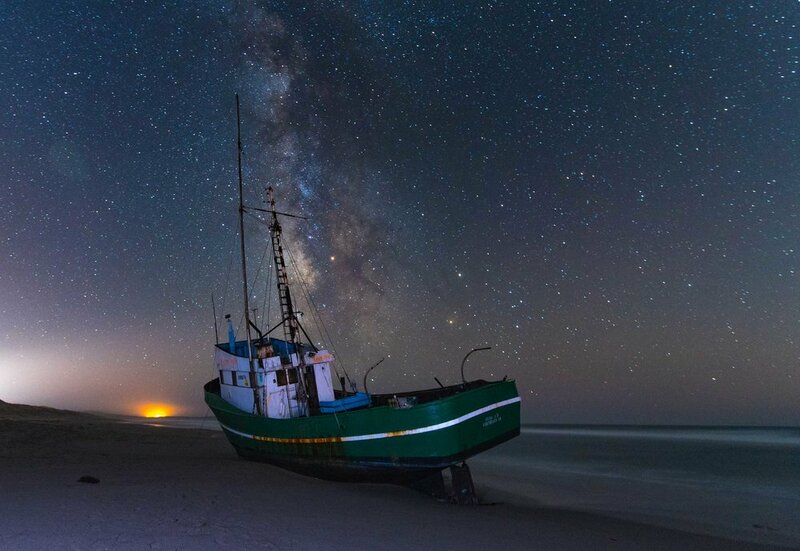 A wayward vessel rests on the shores of Bodega Bay, California. The captain was later found to be intoxicated. 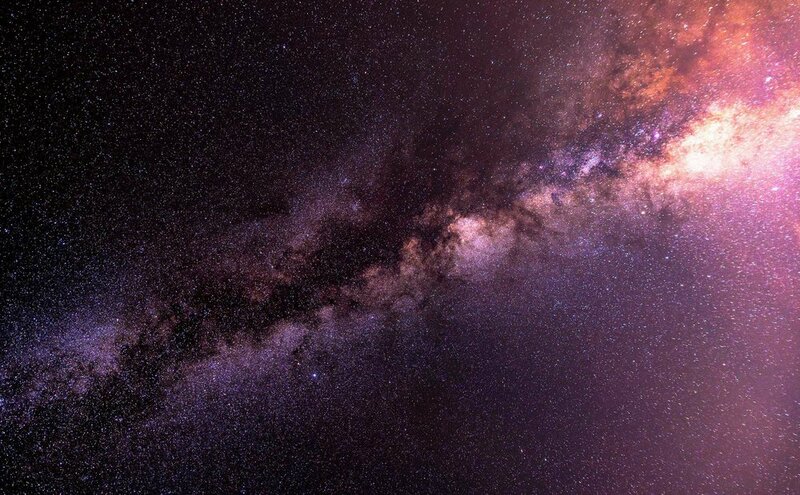 The core of the milky way becomes extremely bright with the use of a star tracking motor, which allows for longer exposures of the night sky.